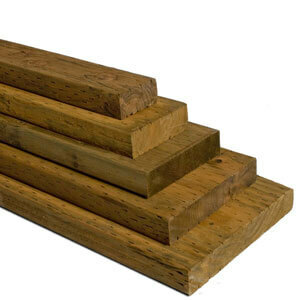 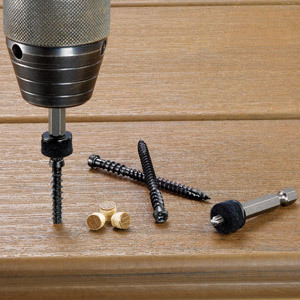 When cutting composite decking materials, the recommended blade is Diablo’s TrexBlade. 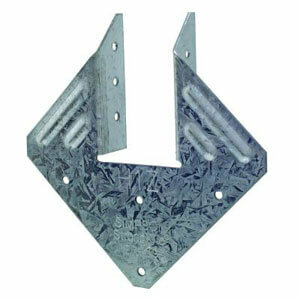 The Diablo Trex Composite Blade delivers maximum performance and the highest quality of finish. 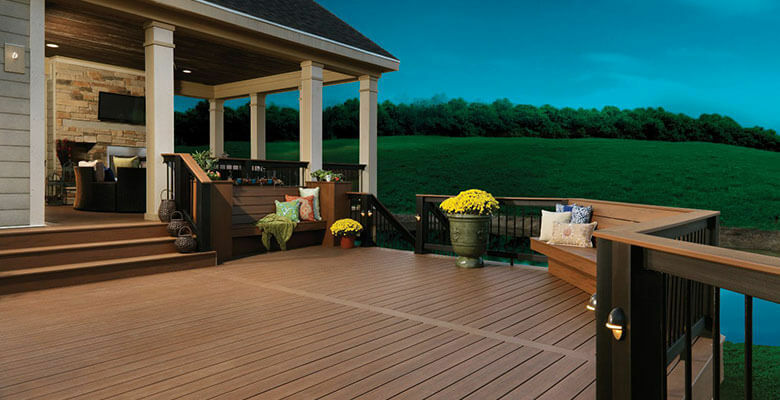 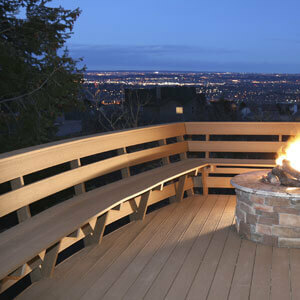 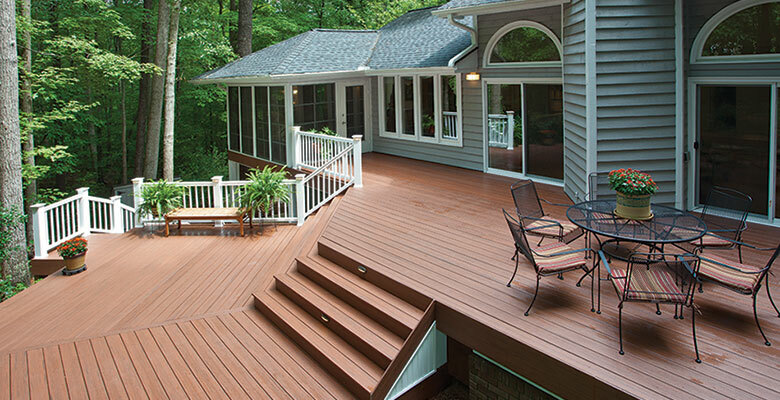 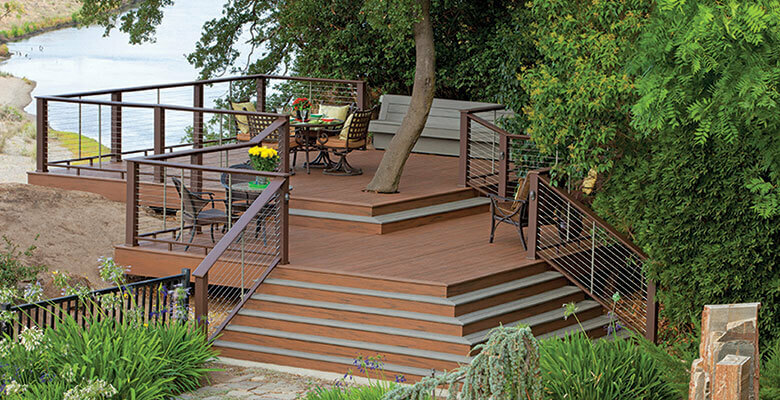 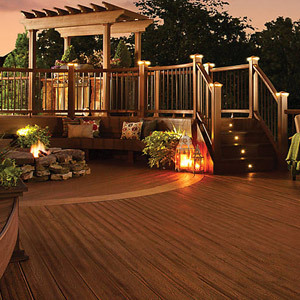 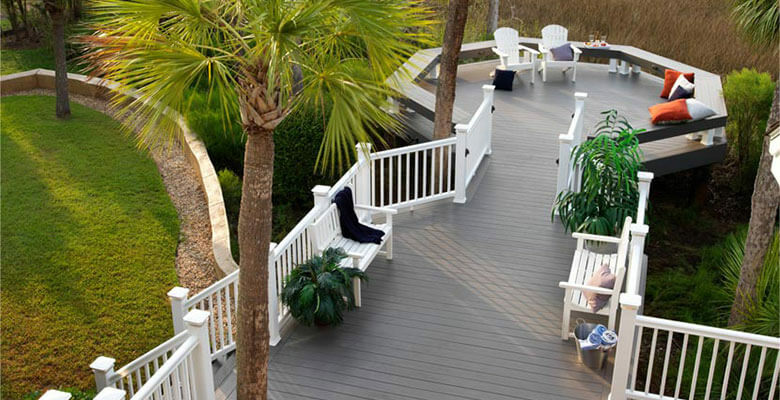 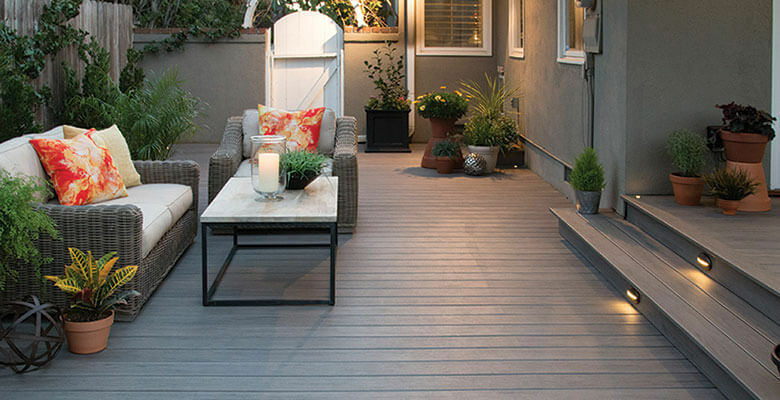 It is a deck ‘must-have’ tool for both professionals and homeowners planning composite decking projects. 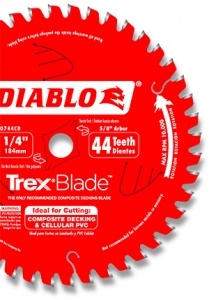 The new saw blade line has a modified triple chip tool grind design as well as Diablo’s Perma-SHIELD® non-stick coating, and specific TiCo™ Hi-Density carbide which combine to deliver more efficient and cleaner cuts with no swirl marks and a dependably longer cutting life. 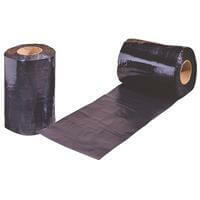 A flexible self-adhering rubberized asphalt sheet membrane, Tamko Tape is the perfect adhesive that contains a clear polymer film that resists UV degradation and has a removable silicone-treated release film. 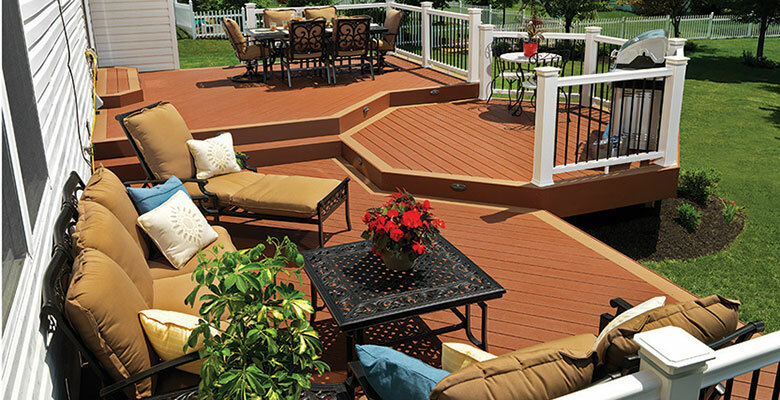 To extend the life of your deck and prevent squeaking while walking on it, TW Moisture Wrap is an ideal solution.